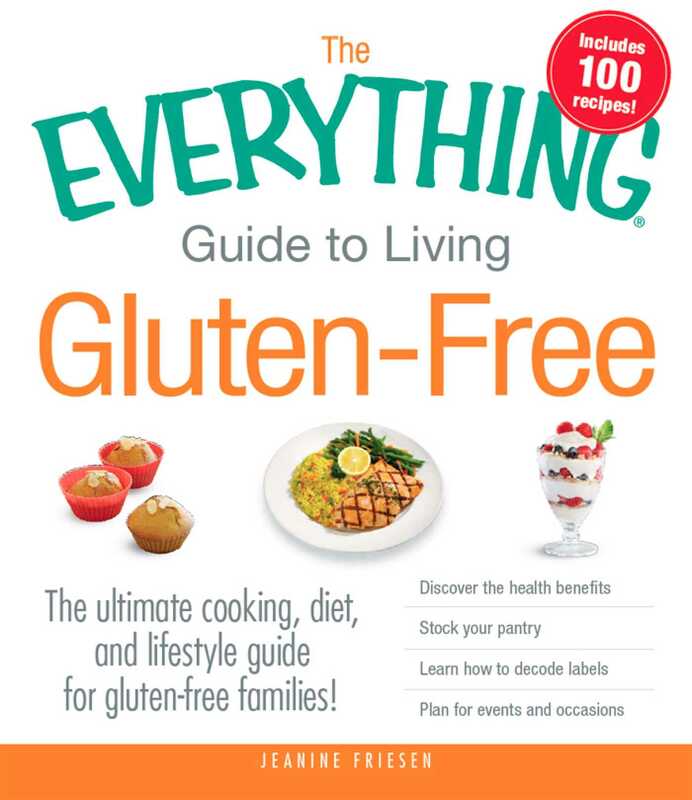 The Ultimate Cooking, Diet, and Lifestyle Guide for Gluten-Free Families! All you need for a smooth transition to the gluten-free lifestyle! Contrary to popular belief, living gluten-free doesn't just mean eating gluten-free! With 1 in 20 people suffering from some degree of gluten intolerance and countless others interested in the health benefits of removing gluten from your diet, it's no wonder that the gluten-free lifestyle is on the rise. The Everything Guide to Living Gluten-Free is the perfect introduction to this lifestyle change. Setting up a pantry to avoid cross-contamination. Finding gluten-free options when traveling. Selecting gluten-free health and personal care products. Enjoying restaurant dinners and parties. Helping children acclimate to the gluten-free lifestyle. Plus, you'll find 100 recipes for superb gluten-free dishes, like Cornmeal-Crusted Chicken, Focaccia Bread, and Chocolate Raspberry Cupcakes with Fluffy Raspberry Frosting. Even including information for gluten-free vegans and vegetarians, this all-in-one guide is your indispensable resource for losing gluten for good!